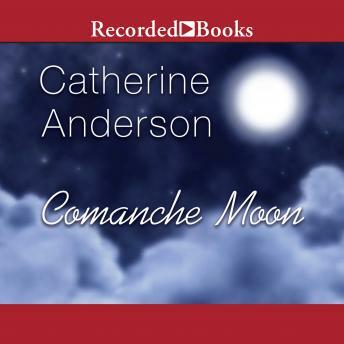 New York Times best-selling author Catherine Anderson pens riveting historical romances. Loretta Simpson lost her parents to a daring Comanche raid seven years ago-and now she lives as a mute with her extended family. Meanwhile, Comanche Hunter of the Wolf sees her as the embodiment of an ancient prophesy and chooses her for marriage. Still fearful of his tribe, Loretta soon finds her will bending, even as conflict between their two peoples intensifies. Narrator sounded like my elderly grandmother. Was a little grating and distracting. Loved the basic story. A little unrealistic but good for a romance novel.